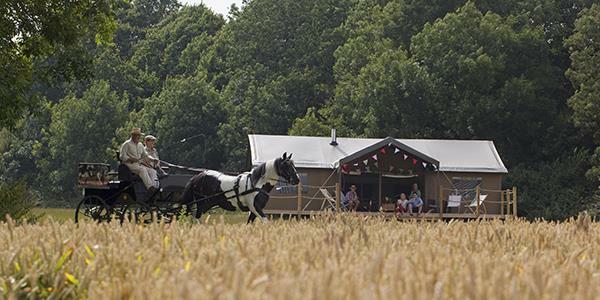 National Unplugging Day - Spend yours glamping! Go glamping and take the opportunity to go off grid. You've got the sun, the scenery, the open spaces. What more could you need? Recharge your figurative batteries by turning off all of the literal ones! There's so much technology in our day-to-day lives that taking a break from the mundane might be the very best thing for you. De-stress in peace with Lantern & Larks. This is what National Unplugging Day is all about! Following the success of last year, 2016 marks the second anniversary of National Unplugging day, which is taking place on the 26th June. The idea is to spend the entire day without any technology. The campaign is urging adults to get youngsters involved too and really spend the day enjoying each other's company. Unplug yourself from technology and reconnect with loved ones instead – without the beeping and buzzing of distracting phones or tablets. We love what the day stands for. At Lantern & Larks, our colonial-style outdoor hideaways enable you to completely get back to nature, enjoying all the delights of the British countryside and the simplicity of peaceful accommodation. There is no electricity in our tents. The cooker is powered by gas, as is your shower. And the log burner is fuelled by... well... logs. Innovative cool boxes replace fridges and you'll see your way to bed by the light of the lanterns. This is luxurious simplicity at its best. Unplug for a relaxing holiday and give yourself a 'digital detox'. To find out more about National Unplugging Day, you can visit the website here. Or find out how to stay at Lantern & Larks yourself by checking availability here.